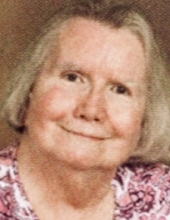 Janet Kay Kovach, 74, of Avon, Ohio passed away March 23, 2019 at Cleveland Clinic Avon. She was born September 8, 1944 in Lodi, Ohio. Janet was a 1962 graduate of Wellington High School. She also graduated from Oberlin Business School with an Associate’s Degree. Janet had most recently worked and retired from Giant Eagle in Westlake. She also worked as secretary at Shepard Chevrolet, title clerk at Spitzer Elyria, and spent many wonderful years as a stay-at-home mother. Janet spent over 30 years volunteering and serving at Faith Lutheran Church in Avon with Sunday School, Vacation Bible School, & Lutheran Women’s Missionary League. Since being retired, Janet traveled to San Diego, Colorado, & Hawaii. She loved watching Dancing with the Stars & Wheel of Fortune. She also enjoyed playing BINGO at the Avon Senior Center with friends. She is survived by husband, Jack Kovach, daughter Kelly (Brad) Morris, sons Kevin (Megan) & Kyle (Karen DeBow) Kovach, grandsons Isaac Kovach, Luke Morris and brother Richard Jewett. Janet was preceded in death by her parents Cecile (nee: Kemery) & Ford Jewett and sister, Nancy Perry. Family and friends will be received Thursday, March 28, 2019 from 4 PM to 6 PM in the Faith Lutheran Church, 2265 Garden Dr, Avon, OH 44011. A service will follow at 6 PM to remember and celebrate Janet's life. Pastor David Woolsey will officiate. Arrangements under the direction of the WALTER A. FREY FUNERAL HOME, Lorain (440) 244-2144. To send flowers or a remembrance gift to the family of Janet Kay Kovach, please visit our Tribute Store. "Email Address" would like to share the life celebration of Janet Kay Kovach. Click on the "link" to go to share a favorite memory or leave a condolence message for the family.